One must remember that historic return is not a guarantee to future success. So, while diversifying investments, margin of safety should be given as much importance as returns. An old friend of mine, a stock market veteran with over 30 years of experience, always used to say, “Market se jo nikala, wohi kamayi (only that what you were able to extract from the market is what you actually earned). To put it in another way, the net amount realized from your stock market investment when put in some other yielding assets, is actually your real wealth. Investments such as tax-free bonds, debt funds, and rent-yielding real estate, etc., all provide a sustainable cash flow. 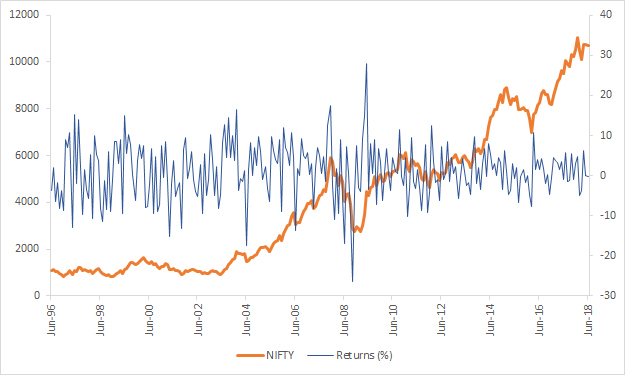 Recently, we have seen a flush of inflows in small-cap focussed funds at a time when market valuations are on the higher end. Though the micro-environment seems to be nearing stability (post the disruptions caused by demonetisation and GST), Indian companies are still not completely out of the woods. Stocks, as an asset class, give the highest returns. However, the risk of investing in this asset class is pretty high as well, given the volatility associated with it. A particular stock could give you 200% return but could also completely wipe-out your invested corpus. 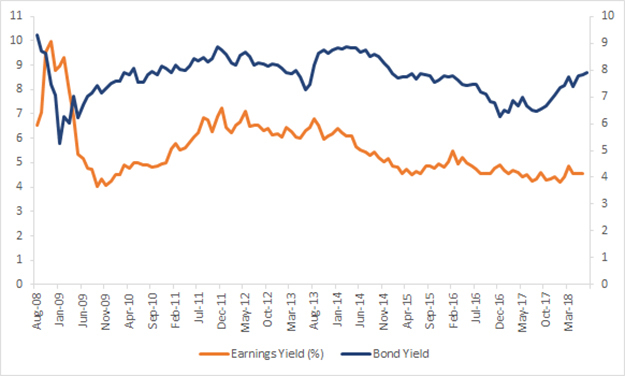 In the same way, an investment in bonds could reduce the risk associated with volatility but the returns could be paltry in comparison to stocks. The key here is to diversify the risk of investment while maximizing the returns. Asset allocation is the process of distributing your investments across various asset classes i.e. equity, debt, gold, cash, etc. according to your risk appetite and the time horizon of your financial goals. Recently, I met an ex-billionaire (in Rs terms), who had lost everything in the last commodity bust. Looking back, the only regret that he had was his inability to save enough money for his family. Since the return on his core business was very high, he did not think of diversifying his investments. Now, he strictly follows one mantra while investing -- to have exposure to at least three asset classes. The objective of having a well thought-out and well-diversified asset allocation is to build a portfolio that closely matches your future return expectations while keeping in mind the risk or volatility that you can bear. Your strategic long-term asset allocation, ideally should be linked to your goals. Also, one must remember that historic returns are not a guarantee to future success. Hence, while diversifying investments, the margin of safety should be given as much importance as returns. There is no denying that the equity market is probably the best asset class to invest in order to reap higher returns. However, putting all your eggs in one basket is not the most prudent approach.